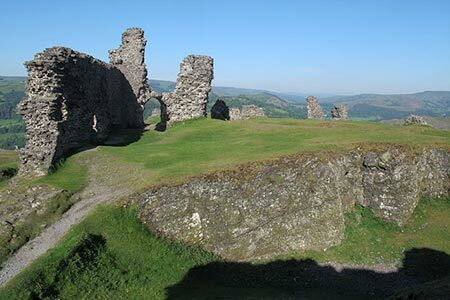 A Denbighshire walk from Llangollen climbing up to the 13th century Castell Dinas Bran which offers wonderful views across the surrounding area. The route also includes a section of easy walking along the Llangollen Canal. A GPX File is available for download (see walk description).